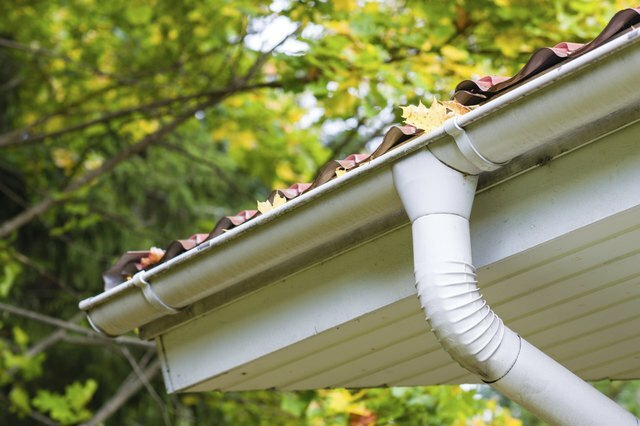 Gutters are an important part of the roof -- they direct water into downspouts that drain it safely away from the house, protecting the house siding as well as the foundation. 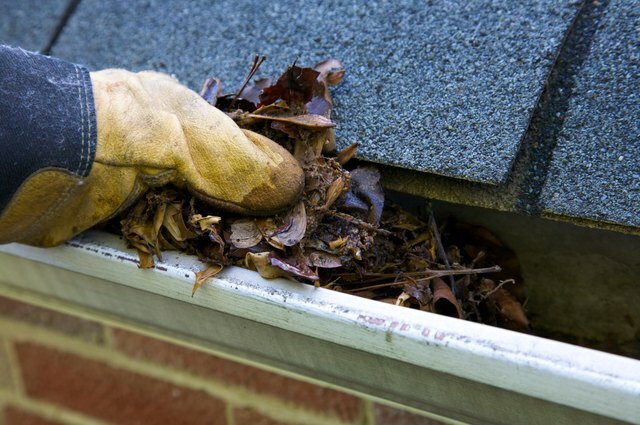 Even if your gutters are covered, regular cleaning is a must to keep dirt and algae, as well as decaying leaves and branches, from clogging the downspouts and rendering the gutters useless. You can do this job yourself, but do it safely. When climbing the ladder, use the three-point climb technique recommended by the American Ladder Institute, which is to always keep two feet and one hand or two hands and one foot in contact with the ladder. Move the ladder as soon as it becomes necessary to lean to reach material in the gutter. Never climb onto the roof to clear the gutters. You can easily fall over the edge. Throwing material from the gutter directly onto the ground is always an option, but it isn't a very hygienic one. The following items can help make the job significantly easier. Bring a bucket with you to hold the debris, and get a ladder hook so you don't have to hold the bucket while you're working. You'll also want a pair or leak-proof gloves and a garden trowel. 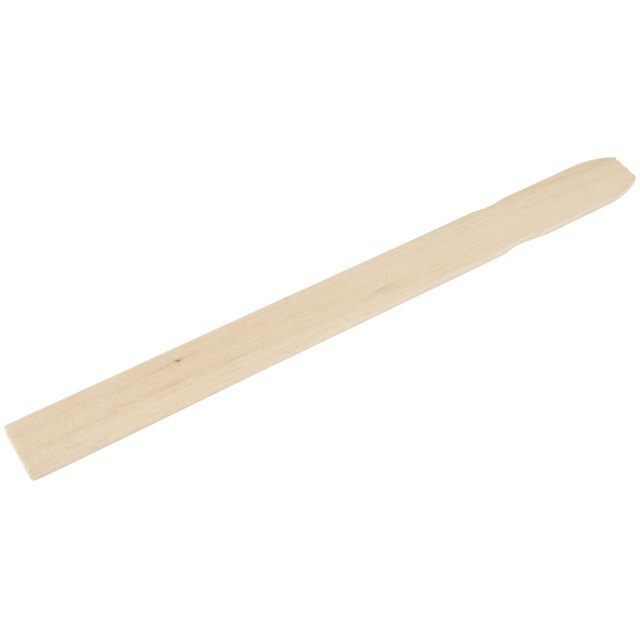 A wooden paint stir stick makes a good implement for scraping material off the bottoms of the gutters -- it's rigid enough to do the job, and it won't damage the gutters themselves. You'll also need a garden hose with a nozzle that provides a strong, focused spray for washing debris into the downspouts. Clean debris from the gutter cover -- if there is one -- and remove the cover. 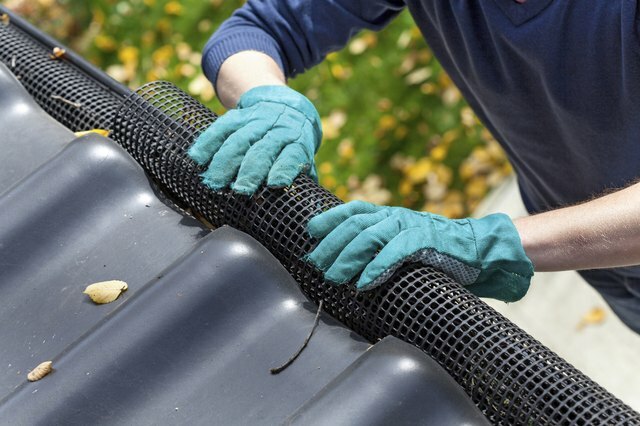 It's a good idea to go around the house and remove all the covers, then go back to clean the gutters, but you can also work section-by-section. Reach in and pull out all the leaves and debris you can and transfer it to the bucket. Use the stir stick to loosen material on the bottom of the gutter, then trowel it out and put it in the bucket. Wash out the gutters with a garden hose after you've scraped and troweled out all the dirt. If the downspouts are clogged and water won't flow, you can often clear them by poking debris with a stir stick to loosen it and flushing them with water. If that doesn't work, remove the top of the spout from the fitting that connects it to the gutter; you may have to loosen one or two screws with a screwdriver. Reach in and pull out debris, then flush the downspout with a hose and reconnect it. In some cases, debris at the bottom of the downspout can cause a backup -- disconnect it from the drain, if necessary, and clear out the blockage with a stir stick.